The Flottman Company family of businesses is dedicated to success and to upholding the quality of service initiated three generations ago. Our regional, national and international clientele correlate Flottman Company with partnership, security and quality. Currently in the third generation of family leadership, the company is piloted by Sue (Flottman) Steller as President and Peter Flottman as Vice President of Production and Chief Financial Officer. The company was formed by F.E. Flottman in 1921, and leadership passed to his son R.F. Flottman in 1969. He passed the reins to his children Tom Flottman, Sue Steller and Peter Flottman in 1992. Tom retired in 2017 and handed the baton to his brother and sister to continue the tradition of quality. Flottman Company operates under a strict compliance within Standard Operating Procedures (SOPs) and current Good Manufacturing Practices (cGMP). Our facility has been named a Green Production Facility. Over 40 years ago the Flottman Company accepted the challenge to assist a client with their need to compile and produce miniature printed and folded inserts. Since that time, Flottman Company has become an industry expert in the pharmaceutical, medical device and nutraceutical markets for miniature printed and folded informational leaflets. Flottman Company pioneered the miniature folded insert industry, and working side-by-side with Vijuk – G&K, Flottman served as a beta site for new machinery, test fold patterns and add-on inline components. Today, the majority of inserts, both Patient Package Insert (PPI) and Physician Insert (PI) are folded with our G&K machines. Many of the machinery Vijuk supplies today found its roots in Flottman Company on one of our commercial folded printing projects. Flottman Company services numerous pharmaceutical companies direct and also serve as an outsource partner for multiple agencies across the globe. Although the company’s major activities include servicing the pharmaceutical, medical device and nutraceutical markets with miniature printing and folding of inserts, Flottman Company still serves as a print producer for commercial applications via their marketing department, FUSIONWRX. The Flottman Company family of businesses also includes the Rxperts Group, a partnership of businesses that creates a one-stop packaging provider by offering a seamless process for inserts, labels and folded cartons. Flottman Company’s expertise from ownership to skilled production employees has been quoted and referenced in The New York Times, Wall Street Journal, Business Courier and Forbes Magazine, for everything from family business longevity to miniature folding proficiency and sustainability. Longevity is a staple at Flottman Company. The current owners have been involved in the family business since they were old enough to participate, and many of the employees at Flottman are also like family. Forty-three percent of the team has worked for Flottman Company more than 10 years and twenty-five percent of the team boast 20 plus years of service. This low turnover produces skilled employees that deliver the product consistency that our clients have become accustomed to. Employees at Flottman Company are family and demonstrate this with their exceptional customer service and dedication. 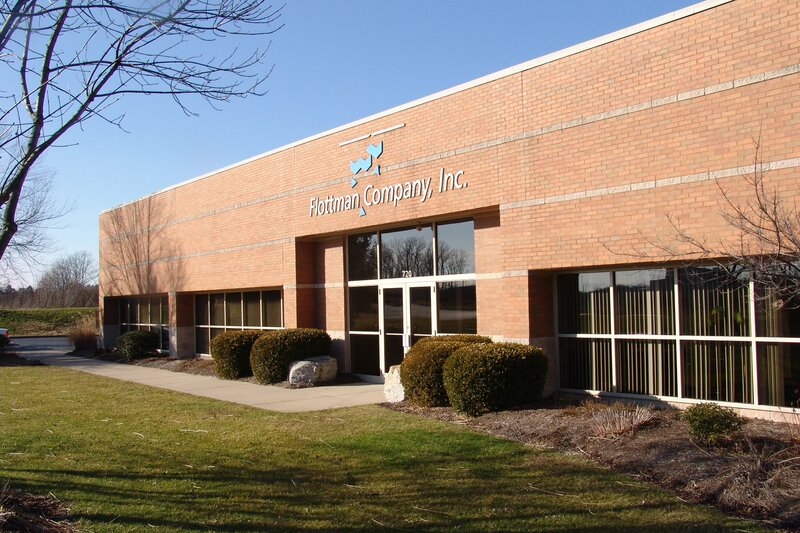 Since 1921 Flottman Company has provided exceptional service, originally as a print job shop, and now a family of businesses serving marketing (FUSIONWRX), packaging (Rxperts Group) and miniature folded insert production. The Flottman Company family is dedicated to success and to upholding the quality of service initiated three generations ago, with the goal of another 90 years of service. If you need assistance with your next project, contact the Flottman Company. We are at the ready to serve you.